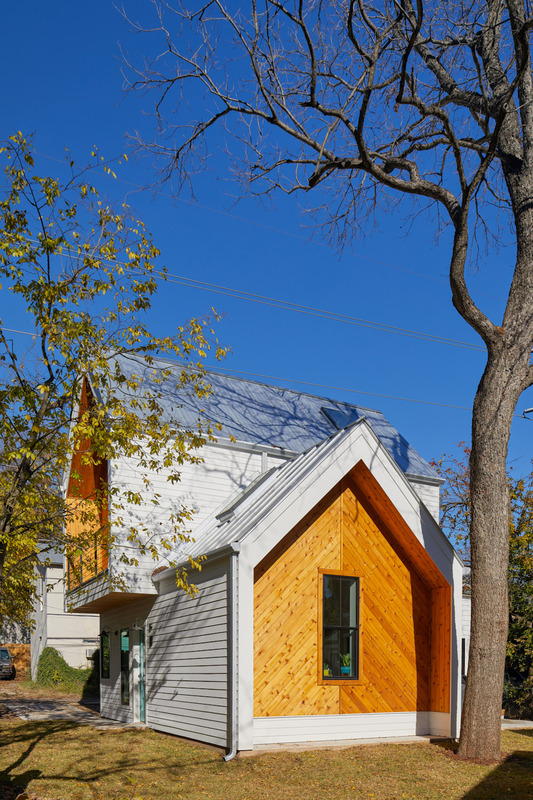 This two-story 1000-square-foot ADU (Accessory Dwelling Unit) takes advantage of the existing home's generous backyard to provide an urban infill opportunity for the property owners. Vaulted ceilings expand the interior and make the spaces feel much larger, polished concrete floors provide durability and shine, skylights brighten several spaces, and three patios offer an abundance of outdoor living. We manipulated a classic gable form, pushing and pulling as the program required, to arrive at the building's final arrangement. 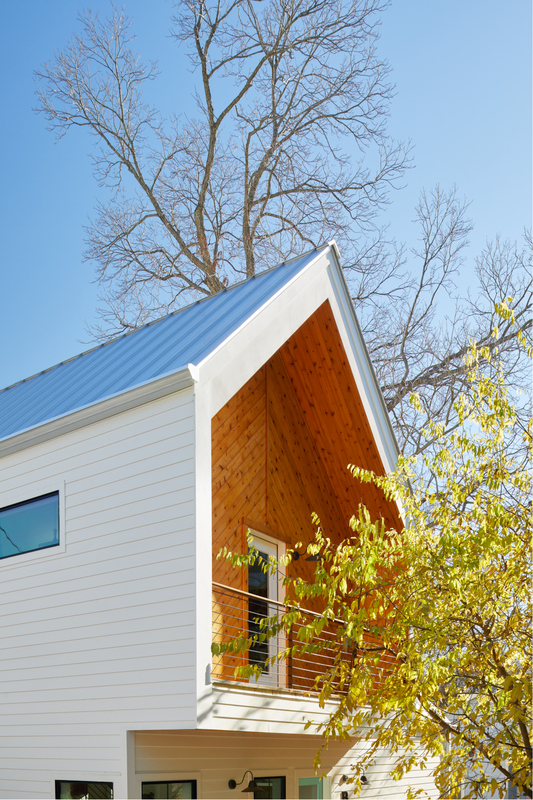 The second-story gable slides over to create a covered entry on one side and a second-story balcony on the other. 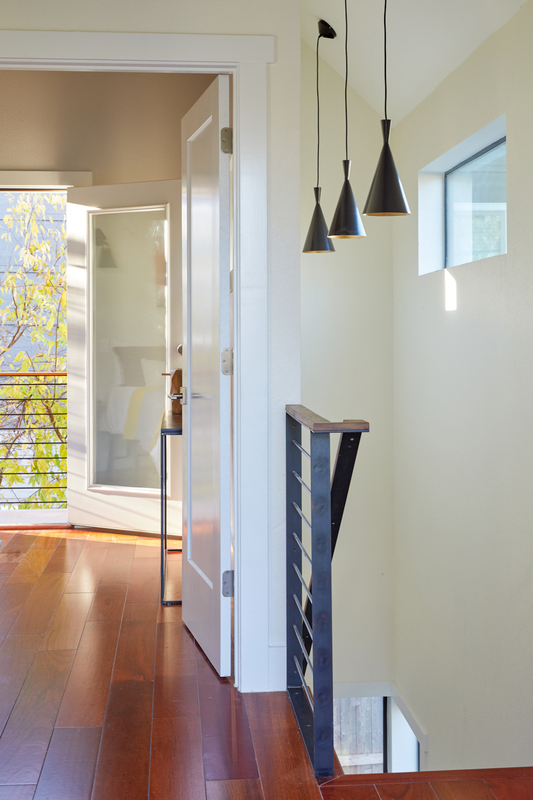 Another gable volume extends the ground-floor living area and creates a nook for a cozy patio.